Dolphins change their tune in a noisy environment. At a party that just gets noisier and noisier, how do you make yourself heard? That’s the challenge marine animals are facing as humans fill their environment with the sounds of shipping, drilling, and other activities. The difference between your attempts to yell over drunken singing and marine animals’ plight, though, is that ocean creatures can’t leave the party, and they never invited all these noisy guests in the first place. And for animals such as dolphins that rely on sound to communicate and hunt, this cacophonous din can be a serious problem. Yet dolphins are not completely helpless in the face of our acoustic assault. In a new study, scientists show how dolphins have adopted a range of strategies to get their messages across. Although previous research has shown that certain dolphin species can adjust their whistles to pierce through noise pollution, bioacoustics researcher Elena Papale wanted to dig a little deeper. By looking at several dolphin species living in one place, Papale found that rather than uniformly shouting over the din, different species have developed unique strategies for adjusting their whistles. This means that to really understand how dolphins are reacting to human-generated noise, we’ll need to learn about it species by species. There are 39 species of dolphin in the world, and Papale and her colleagues have started with three. Between 2008 and 2012, the researchers gathered 104 recordings of the short-beaked common dolphin, the striped dolphin, and the Atlantic spotted dolphin. In the waters around the Canary Islands, off the western coast of West Africa, Papale towed an array of sound equipment behind her boat. Whenever she caught sight of dolphins, she idled the engine and started recording. Isolating the whistles from the background noise, the scientists analyzed each wavering call for four elements: its beginning and ending frequencies and its lowest and highest frequencies. Papale also analyzed the background noise in each recording—specifically, noise that was within the same range of frequencies that dolphins use to communicate. The quietest times were during calm weather. Bad weather and wind made the ocean a little louder. The noisiest conditions, even worse than those during a storm, were “probably coming from distant ships passing,” says Papale. As background noise increased, each species responded in its own way. The short-beaked dolphin raised the maximum frequency of its whistles, like an alto singer stretching into a soprano range. The Atlantic spotted dolphin made its maximum frequency higher too, but it also raised the ending pitch of its whistles. The striped dolphin used a different strategy, increasing the minimum frequency of its whistles. Papale had analyzed the minimum and maximum frequencies of dolphin whistles because those factors are fairly consistent within a species. Yet an increasing racket in the ocean seems to make even these normally stable factors more variable. Papale and her colleagues “do a great job showing that the three species of dolphins… seem to have species-specific strategies to promote communication efficiency when the environment gets noisier,” says Manuel dos Santos, a marine biologist who was not involved in the research. However, says dos Santos, the approach doesn’t distinguish between different types of whistles. “Scientists are still beginning to understand how dolphins use sounds in their natural lives, both for communication and echolocation,” he says. Noise pollution might affect some of their vocalizations more drastically than others. The study also didn’t try to identify the different sources of human noise. Even so, Papale says her findings tell us a little more about how dolphins handle loud environments. “We can understand how they react, and therefore the level of impact of man-made noise,” she says. Even if we can’t call off the party, maybe we can learn how to talk over our hosts a little less. 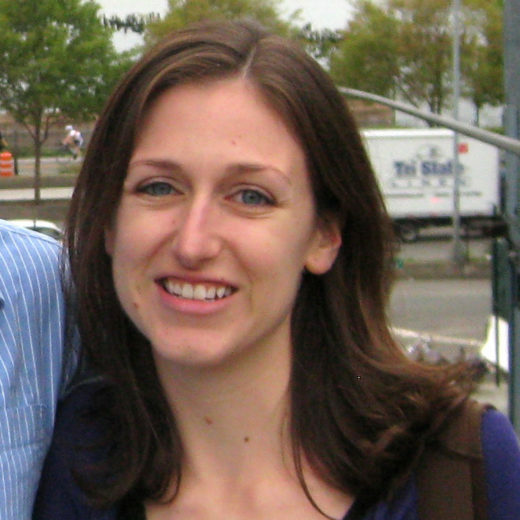 Elizabeth Preston is a freelance science journalist and editor in Massachusetts. Her work has appeared in Discover, The Atlantic, Quanta, and other publications. Cite this Article: Elizabeth Preston “Whistling Through the Din,” Hakai Magazine, May 27, 2015, accessed April 21st, 2019, https://www.hakaimagazine.com/news/whistling-through-din/.